Removing clutter helps rooms feel more open and airy, so make this the hard focus of your life until it’s totally done. Bringing in some friends who will give you an honest opinion can also help you find more things to get out of the house before your Professional Photographer comes to take the photos for your listing. 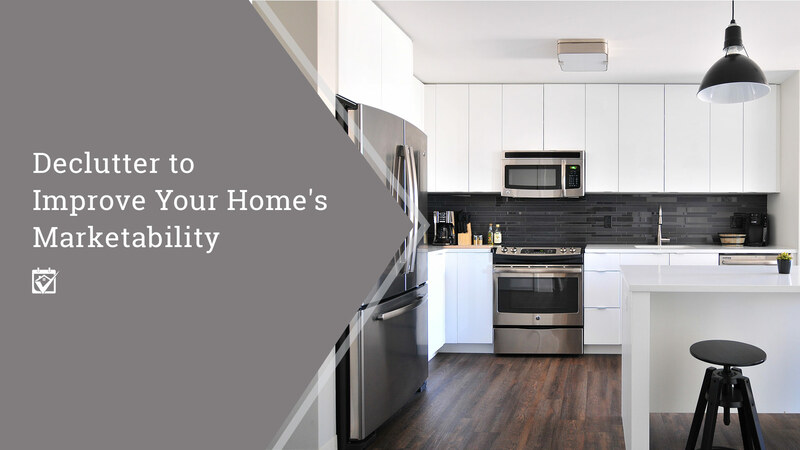 It can be a huge and daunting task to declutter a home you’ve lived in for a while, there’s no doubt about it. But that’s why there are professionals who have tons of experience organizing and staging spaces for home sellers. Your Realtor can recommend these pros, you know they’re going to do an amazing job. You won’t even recognize your own house!